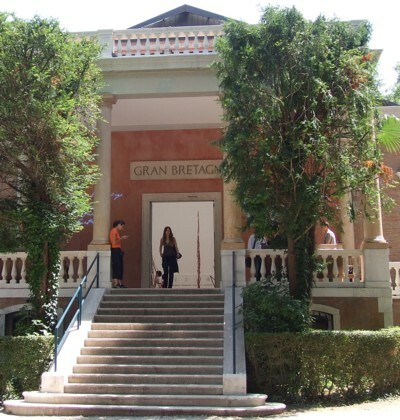 The Venice Biennale (la Biennale di Venezia), an international art exhibition, was founded in 1895 and became a godsend for a city desperate for some modern significance. It takes place every two years, in odd-numbered years, and lasts six months. Although the opening week may be an opportunity for the art-dealers and artists to party, spend other people's money and compete with each other, over subsequent months it also attracts thousands of 'normal' visitors and brings neglected bits of the city to life. It's an international event with countries organising their own shows. The original base of the Biennale was in the Giardini, a park near the waterfront in the Castello district. Over the years various countries built permanent 'pavilions' here to host their shows, some of great architectural interest. Venice's old naval shipyard, the Arsenale, also houses part of the present-day event. A Biennale ticket includes access to both official venues, which you can visit on two separate days. Both include extensive exhibition areas so you'll need to allow a lot of time. Other shows, hosted by pavilion-less countries, are held around Venice and give you a chance to explore private palaces for free - see the bottom of this page for more about these exhibitions. The main exhibitions are closed on Mondays. Note that there are reductions for holders of various Venice tourist cards, students and under-26s. The two venues are about ten minutes' walk apart. The nearest vaporetto stops are Arsenale and Giardini. In between the venues is Via Garibaldi, a broad shopping street where you'll find restaurants, food shops and other services. Each Biennale has a different curator and a different theme - something so vague that anything goes. If you attend over several years (as I have) the exhibitions can become repetitive in their attempts to challenge or confront. The Biennale is best visited with patience and a sense of humour; though even if you are inclined to huff at the Turner Prize, you will probably find something to interest or entertain you among the looped 6-hour videos of Chinese families eating dinner, the neon lettering, the meaningful empty suitcases or the rutting mannequins. On that last note, it's best to be aware that some exhibits might not be child-friendly, and there are unlikely to be warnings of this. 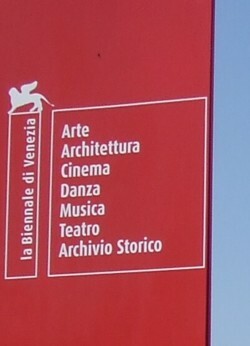 Various other events take place under the Biennale umbrella organisation, including the prestigious Venice Film Festival, and a modern dance festival. On even-numbered years there is an Architecture Biennale, which follows much the same pattern as the art one. If you are planning a trip dedicated to art and want to stay near the Biennale venues, hotels in the Castello district will be the most convenient. The 2015 Venice Biennale runs from 9th May to 22nd November. The theme is 'All the World's Futures'. A ticket offering access to the two main venues costs €25. Other special tickets offer deals such as unlimited access over two consecutive days (€30). Tickets can be bought online or at the venues. Venues are closed on Mondays. In 2015 Britain is represented at the Biennale by Sarah Lucas, with an exhibition of explicit sculptures described by The Times as "bringing British culture down to the level of the saucy seaside postcard". The British Pavilion is in a prime position crowning the top of a slope in the Giardini venue, its portico now adorned with a phallic sculpture. 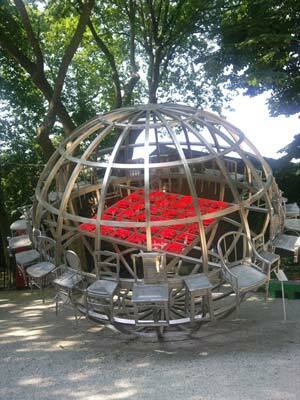 The historic base of the Biennale is at Giardini, the public gardens in Venice's Castello district. This is where the national pavilions are located. Even without the art, the pavilions themselves, constructed over the last 100 years, are interesting. A couple are built around trees, and the buildings reflect changing architectural fashions, along with nods to national characteristics (see the Hungarian Pavilion in particular). There are shady places to sit under trees and eat a snack. The nearest vaporetto stop is Giardini. Be prepared for a lot of walking. This former shipyard (now largely abandoned) covers a massive amount of space - it was the grand military and industrial achievement of the Venetian Republic, building the ships which kept her merchants and her navy so dominant. Most of the art is housed in a long building once used for making rope. Although to walk the length of the site is a long trek, it is worth persevering until the end, where you find yourself in open space by the old fortified entrance to the docks. Helpfully, there are several spots outdoors for resting, with chairs and refreshments. The covered dock is one of the most photogenic parts of the great waterbasin. I'd recommend you take a bottle of water, find a programme with a map on it, and allow time to wander and take breaks. Especially in the autumn, the leafy Giardini can harbour vicious mosquitoes, so tender-skinned visitors should take repellent or cover up. Visiting the two main parts of the show on separate days will allow you to pace yourself. It's helpful if you can get hold of a good map of all the locations and details of other shows around town. Usually I enjoy some of the free exhibitions more than others within the ticketed areas. If you are seriously interested in the two main venues, you could consider purchasing a season ticket for €80 which allows unlimited entry (take your passport as ID). Both official venues have limited cafe facilities. These are fine if you want to grab something on the go. My recommendations for a Biennale lunch would be Le Spighe on Via Garibaldi, an organic vegetarian food shop where you can buy mixed plates of food to eat at informal tables in the store. One of the best things about the Biennale is the chance to nose around inside buildings whose doors are usually firmly closed. Countries without purpose-built pavilions at Giardini often put on shows in other spaces around town, and admission is usually free. Frequently the exhibitions are in interesting palaces, enabling you to see views of Venice that would otherwise be secret. Sometimes these palaces are marvellously atmospheric and decrepit, used only for one-off events like this. Several I've visited for Biennale shows have subsequently been closed for restoration and conversion so I feel very lucky to have seen the interiors before modernisation into hotels or swish private homes. Official Biennale shows are listed on the website and on the maps displayed around the Biennale area. Sandwich boards and posters will also direct you to affiliated art shows. Often the best exhibitions I've seen have been those I've stumbled across while wandering around town. Lots of other recommendations for eating and drinking around the Biennale and throughout Venice, as well as detailed tourist information can be found in my Venice guidebook. It also contains guided walks including one which incorporates both Biennale venues, touring the area of Castello.